If you've ever waxed, chances are you've had to deal with ingrown hair. They're not only unattractive, but they can also be painful. An ingrown hair after waxing happens when the hair never breaks the skin's surface as it grows or does come out of skin first and then grows back into the skin. Most commonly it occurs in areas where the hair is thick like on men, the underarms, or especially where it's both thick and curly, like in the bikini line. Really, though, it can happen anywhere the hair is waxed. The goal in waxing is to remove the entire hair from the follicle, but it tends to break either above or below the skin's surface when being waxed. This often happens because wax is removed in the opposite direction of its growth and there's more strain on the hair. Ahead, tips on how to prevent ingrown hairs from forming. Be sure to follow directions very carefully prepping skin, applying product and removing it. You'll have better chances of getting the entire hair out versus breaking it. If you do choose to pay for your service, don't go to just anybody that's licensed. We know that the bumps can happen despite the greatest intentions. However, those who are crafty have the best chance of not breaking the hair and avoiding other side effects. For example, most techs use hard wax for at least part of the bikini area which is wonderful for coarse hair which 'shrink wraps' it so that it can be easily lifted. Lightly exfoliating before waxing with an ayate cloth or another mild exfoliator like Herbivore's Coco Rose Body Polish helps remove dead skin cells allowing for a better and easier service. Gently exfoliating a day after the wax (if the area isn't red, inflamed or irritated) and continuing to do so, a couple of times a week depending on your skin and hair type will help keep dead skin cells away from the follicle. When the hair does start coming back, the exfoliating helps it point up and grow in the right direction—opposite of skin. If you have gotten any type of body waxing then you want the skin to be able to 'breathe,' rather than be constricted. Not only can tight clothes irritate freshly waxed areas, weeks later it can encourage the hair to grow back into the skin. Many products are created to help fight and prevent ingrown hairs before they appear, containing exfoliating and moisturizing properties. Preventing them before they appear is much easier than tackling the redness and bumps later on. Try products like Bliss Ingrown Hair Eliminating Pads and Tend Skin. Apply the product for ingrown hair 48 hours after removing hair once per day, or according to the product's directions. 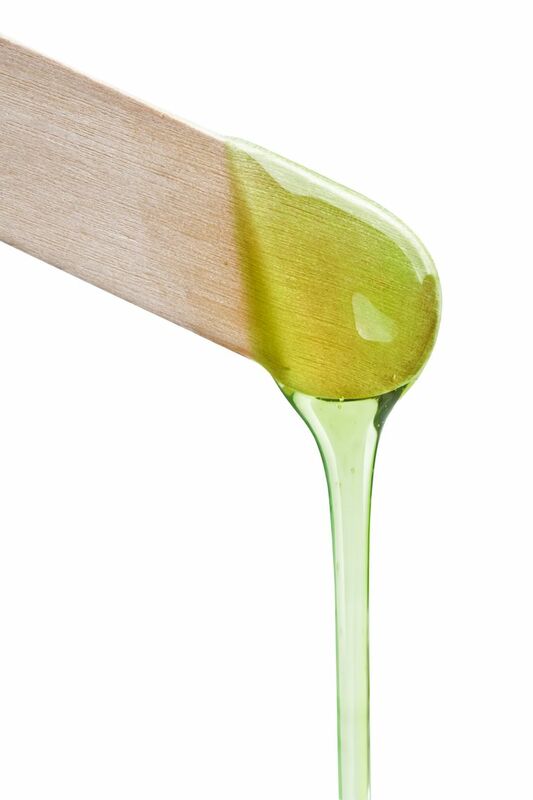 An alternative to waxing is sugaring paste, which also lifts the entire hair. Unlike waxing, which removes hair in the opposite direction of hair growth, the paste removes it in the way that it grows. This puts less strain on the hair so it's less likely to break either above or below the skin.